For the devoted New England Patriots fan, we are proud to present this officially-licensed New England Patriots coffee mug. 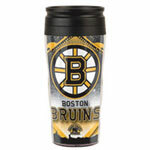 Brighten up your office or home with your favorite NFL team's colors and logo while enjoying your favorite beverage. 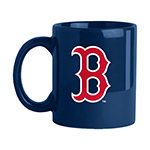 The 15-ounce ceramic mug features the Patriots' 3-D sculpted relief logo on each side, plus the team's name printed on the handle. Perfect for coffee, tea, or whatever your beverage of choice might be. Microwave and dishwasher safe.